When you first went into business, was it because you were an expert in your field, or an expert in finance? Unless you have a financial background, you could probably use the help of a financial manager periodically, even if you don’t need or want to hire a full time chief financial officer. 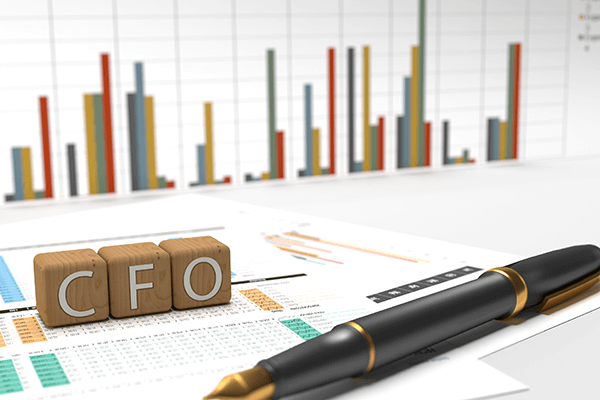 The role of the CFO is toreport accurate financial information, control treasury functions, risk management, economic strategy and oversight of accounting staff. Perform a cash flow analysis reviewing accounts receivable, payable, and inventory anticipating cash need to avoid financial crises. This includes ensuring appropriate procedures and controls are in place. Create a working budget and financial forecast to complement your business plan. This is the road map for your company’s financial future. Negotiate terms for major purchases, leases and financing. It takes experience to create the business acumen necessary to make sound financial decisions quickly. Prepare your business plan or review it with you to help paint a positive picture for potential investors. Take on special projects for which you may not have adequate personnel. Fill a CFO position for you as you recruit for one and assist you with the hiring process. Analyze your financial reports to identify potential issues or recognize growth opportunities. Your need for CFO services may be for a few hours or several months. Longer assignments are generally billed at lower rates. Contact us for a consultation to discuss the services that would be most beneficial to you and the associated costs.